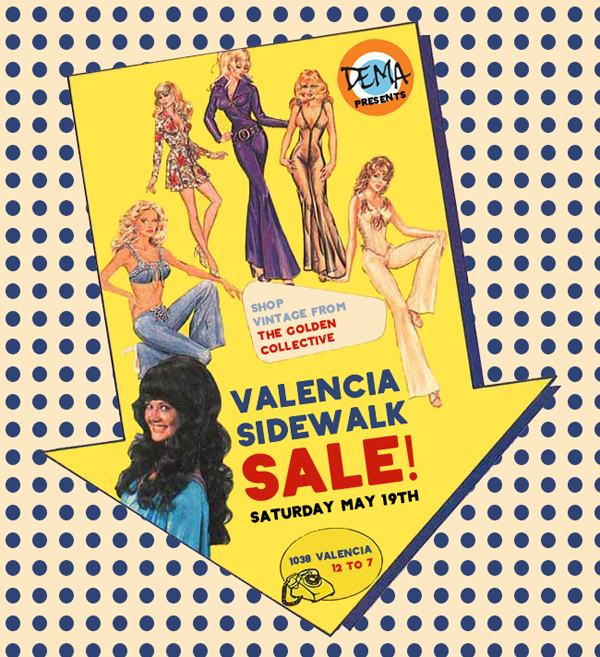 Come visit us at DEMA this Saturday, May 19th, for the Valencia Corridor Sidewalk Sale! The Golden Collective will be selling vintage clothing and accessories in front of the shop and we will also be offering 10% off the entire shop (including sale!) from 12 to 7. We hope to see you!